The best-selling console of all time ends its record-breaking run. Well, that's it, ladies and gentlemen: The sixth console generation is officially over, as Sony's PlayStation 2 has now been discontinued worldwide. The news comes just days after PS2 production ceased in Japan, which was the first sign that this day was fast approaching. Launched in 2000, Sony's second major console release was by far its most successful to date. The PlayStation 2 is currently the best selling home console ever released, having sold over 155 million units since its debut. That figure leaves its primary competitors in the dust, with the original Xbox coming in at around 24 million sales, and Nintendo's GameCube bringing up the rear with 22 million sales. 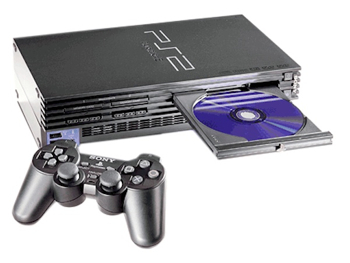 The PlayStation 2 had a few key advantages in the early going, most notably its support for DVD video, which was just catching fire at the time the console was released. The PS2 received fantastic third-party publisher support with titles like Grand Theft Auto III, and played host to first-party exclusives such as God of War and Gran Turismo 4. So if you have a drink near you, pour one out for the PlayStation 2, because it definitely deserves a place in the heart of every gamer.